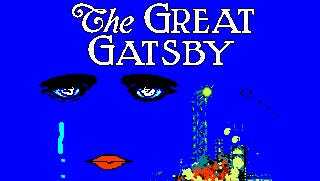 Last year, we shared in the disappointment that a video game based on F. Scott Fitzgerald's The Great Gatsby turned out to be not so great. This year, we're enjoying a new, 8-bit take on one of the greatest novels of the 20th century. According to the site hosting The Great Gatsby, an NES-like side-scrolling adventure, its lifted from an unreleased cartridge a port of "Doki Doki Toshokan: Gatsby no Monogatari." Sure, we'll play along! There's a great scan of the game's manual and a long-lost ad for the Nintendo Entertainment System-era classic. Try your hand at The Great Gatsby, a rare literary classic turned old-school video game adventure.